Two ambient artists combine forces here for “Vague Traces”, a subtle and dreamlike album of lucid waking-dream textures and deliberately amorphous sound washes. The opener, “Far Past”, is a gauzy drone that summons hypnagogic states quite nicely, as does “The Diamond Sky”, which layers gentle wafts of gentle tones into a swirl of fragile sound-clouds. “Across The Sun” sounds almost more urban, with distant dreams of automation in the background, like a narcotic awakening in an urban soundscape pre-dawn. The rest of these tracks fall nicely in line with this feeling — drifty, narcotic, and softly-enveloping clouds of sound. But fairy dust or window dressing this ain’t — Wilkerson and Russell’s music is edgy and realistic, with hints of darkness alongside the contemplative fragility. “Vague Traces” is a sublime and beautiful work of art, and one that can be enjoyed best at late night or during early morning hours. I am impressed. I like collaborative works. I am fascinated by their chemistry, the balance of styles and ideas, the way two approaches become singular. When such collaborations happen between two artists whose solo work I truly enjoy, it’s even better. Such is the case with Vague Traces from Phillip Wilkerson and Chris Russell. I have reviewed these two extensively in the past. I’d go so far as to say I’m a fan of both. Thus, I eagerly dove into this album and was immediately rewarded. Both of these gentlemen tend to put out broad, quiet work full of rich pad structures. Russell is more likely to veer toward darkness, so there’s some of that here as well. “Across the Sun” and the beginning of “Evening’s Empire,” which follow one another mid-album, take us in that direction. “Across the Sun” arrives after two quieter tracks and challenges us a little with near-dissonant pads and metallic rings. The tone is ominous but never threatening, even as coarse, windy rumbles pass over the proceedings. To a degree, the track feels a little static, its main elements not changing much, but the fact that said elements are in constant motion against one other keeps it all from getting old over its 10-minute run. “Evening’s Empire” begins in a similar vein, with that something’s coming tone, but quickly levels off into big, arching pads. That about does it for the slightly grimmer side of things. Everything else on Vague Traces shows us through well-made territory like sub-orbital space music. “Just A Shadow” is loaded with warm, slow-moving pads and touches of plucked strings. A glissando of harp later in the track threatens to jump a little too far into cliche New Age territory for my tastes, but it’s a momentary indulgence. The last 20 or so minutes of this album, the tracks “For Dreaming” and “Until Tomorrow,” create a very deep drift. I quite like the low end on “For Dreaming,” and there are points where it pulses and oscillates gently for a very interesting wave effect. “Until Tomorrow” opens like a classic ambient piece, stretched out and floating, then laces in a soft melody. It has a delicate, glassy feel and is quite quieting. First impressions count, and I must say that I was a little bugged on an early listen by what sounds like a too-sudden fade-out at the end of the first track. It’s a tiny quibble, but it surprised me from artists of this caliber. Set that aside, and Vague Traces is a very good meeting of the minds; these two talents both bring a lot to the studio, and the result is a beautiful album that will get plenty of repeat play. 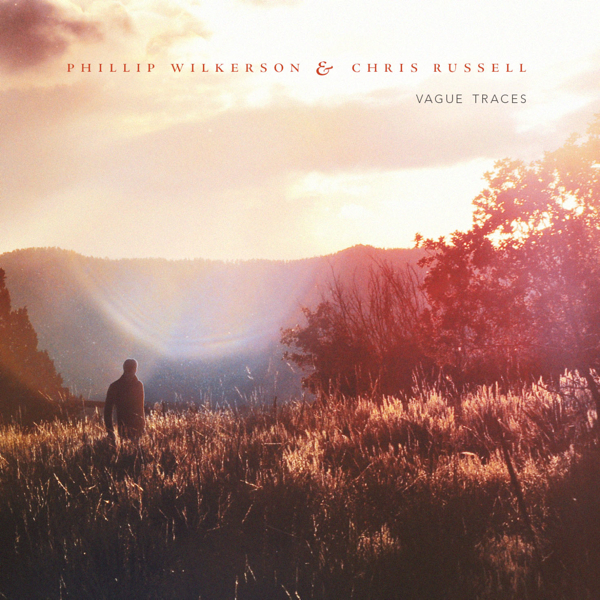 Acclaimed Floridian soundforger Phillip Wilkerson, who has an extensive discography on his credit with many pro CDr releases and digital downloads, has teamed up on "Vague Traces" with talented Illinois based artist Chris Russell. Chris Russell is mostly know for his four albums released on Relaxed Machinery. I am very glad to see both these crafted composers on Spotted Peccary roster, a really nice move by this sympathetic label, because both these artists really deserved a glass mastered CD. If I am correct, it's second for Phillip Wilkerson, who has already appeared on Spotted Peccary with his Time Being project (featuring also Jourdan Laik), with an album entitled "A Dimension Reflected" (April 2011), while for Chris Russell this is his debut on pressed CD format. "Vague Traces" album was released during November 2014 and as usual for latest releases by this, in Encinitas, Southern California, based label, the CD is packaged in attractive 4-panel eco wallet, which showcases the trademarking visual artistry by photographer Jourdan Laik and designer Daniel Pipitone. Rather shorter "Far Past" grandiosely unfolds this exploration with utterly gracious drifts, magnificently infinite. when entering the deepest ends of pure atmospheric bliss, yet intriguingly strengthened with assorted cyber-tech-infused subtleties. Absolutely awesome introduction of this collaborative endeavour, congratulations, gentlemen!!! But there is one small complaint. I just can't identify with that, rather insensitive cut at the end of this track when it soothingly evanesces, maybe it's not that much noticeably disturbing, but it's there, so for full deep listening immersion this should be avoided. "The Diamond Sky" is by far more reverberating, bridging mindscaping, at times quite piercing drones, with intangible tinkles and hints of organic sounds. Floating from contemplative quietness through murmuring surges to puncturing transcendence. "Across The Sun" straightly delves into deeply enigmatic spheres, where spiralling and oscillating drones are intermingled with abundant cyber-biotic dissonances and sparse elusive chimes. This intensely undulating and oddly carved composition is a real mind-blower. If the previous piece was hanging at the edge of transcendental realms, this one immerses us deeply into these mysteriously crescendoed and powerfully spellbinding zones. "Evening's Empire" clocks over 12-minute mark and dives immediately into unfathomable depths, although remote rumbles flicker here and there. 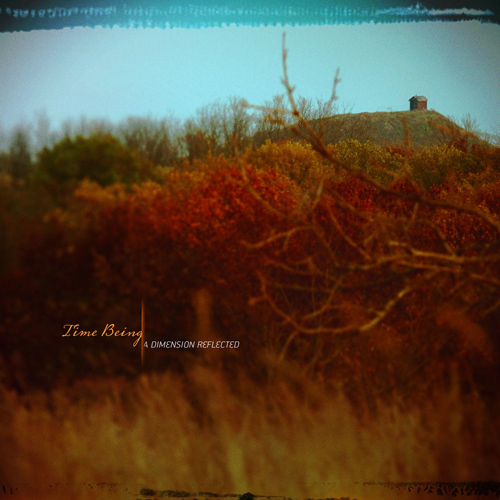 But monolithic dronescape continuously keeps on emerging until it's permeated by environmental sounds, some hi-pitched nuances sneak in, but the journey is clandestinely stolen by warm-hearted piano blankets, tranquilly monumental with touch of medieval gracefulness, before dissolving into fascinating horizons of nocturnal silence. An epic soundscaping awaits here!!! The next piece, "Just A Shadow", starts quietly, but persistently unfolds into tenser monochromatic backgrounds, contrasted with fronting, windingly cascading sonics, both diaphanous and exaggerated, and velvety guitar and harp-like strings. 11 minutes long "For Dreaming" takes the route to the tranquilizing paradise, crossing through calmly nuanced celestial terrains with few incisive peaks, and meticulously fragranced with fragilely acoustic reminiscences. The listener is bathed in absolute aural peacefulness!!! "Until Tomorrow", with 12:33 the longest track, remains on the same, spaciously engrossing fields, where amorphously drifting drones amalgamate with vaporously meandering piano notes. Immensely transporting conclusion!!! To complete the credits list, the album was mastered at The Armory by Ben Cox, of the ex-Lotuspike gang (now fused in Spotted Peccary Music community). "Vague Traces" album gorgeously melts common artistic visions of Phillip Wilkerson & Chris Russell, it safely finds its significant place in lustrously vast catalog of Spotted Peccary and proves their soundsculpting talent within ambient/deep space journeying. I should add that Phillip Wilkerson has self-released few weeks before "Vague Traces" his solo album "Wondrous Encounters", while Chris Russell has released during December 2014 his another collaborative project, "Memory Palace" with Greg Moorcroft of Eyes Cast Down. There is a lot of essential recordings to dive into, so don't hesitate to explore them, these guys really deserve it!!! A wave of winds with crystalline dusts and with shades delicately tinted of reverberations float as a winged boa to sneak between our two eardrums. Dominant, "Far Past" unwinds its heavy ambient winds which increase in power, in volume in order to shuck the fruits of a passive musicality where the dreamy notes of a piano are courting the strolls of a bass. Sailing between the nebulous spheres which separate the sleep from the awakening, the dream from reality, this last album of Phillip Wilkerson respects the abyssal depths of his perception of the world of deep ambient music. Composed and played with Chris Russell's collaboration, “Vague Traces” revisits the universe of the immersive and contemplative music with an approach more sibylline than seraphic where the shadows play with the light and the sounds with a fascinating obsession for a state of cerebral stillness. The slow veils which open "The Diamond Sky" are floating of their lace wings with slender impulses which caress and make ring the carillons wrapped of cotton. Acoustic notes resound in the singing of birds, fusing a strange concert between reality and its shadows. It's the slow waltz for amorphous with a waterfall elegiac breezes which interlace in ochred tones where we can perceive, even hear, some strange impossible murmurs which get lost in the immense furrows of sinuous reverberations and of their a little less misty clones. The tandem Wilkerson / Russell confronts their abstruse lines which seem to be threats for the dream and the edges of its reality. It's very enveloping and this slender line which separates the light of the blackness exploits marvelously the ambiguities of the slow neurasthenic movements. "Across the Sun" is like a long river of air which crosses the infinity of the sky. It's a long race of noisy winds lines which make spherical particles splinter into some small sonic shavings. It's a heavy and powerful storm of fluid winds which if is totally deprived of rhythms is not devoid of subtle impulses. In fact the phases of movements in “Vague Traces” live throughout the multiple modulations and the infinite curves of the winds. We can hear them to shiver, so much they are near the blackness of the cosmos. A little as the opening of "Evening's Empire" which vibrates like the reactors of a space shuttle. After this very dark intro, the music reveals a little more of its heat with fragments of harmonies that we considered lost in the finale of "Far Past". There isn't much to say, or add, about "Just a Shadow" or "For Dreaming" which move, float and exploit the same sonic textures cut straight from the whims of Aeolus. Only "Until Tomorrow" distances itself with an approach which seems to be inspired by Harold Budd. Vague Traces gently infuses one's environment with shifting wisps and hazes of electro-organic sound. Very evocatory and dreamlike: lightly drifting drones, lustrous gossamer veils and subtle textures that seem both vaguely familiar and peculiar at the same time. Muted, fragile piano phrases set deep in the mix provide melodic hints in places, plucked harp notes and runs as well as synthetic notes picking up airy, minimal themes in others. Inspired by 'the process of intermittent dreaming and waking which often results in pre-dawn lucid dreams that seem just as real as waking consciousness' Vague Traces aptly assumes a blurry, soft-focus nature that seems to furl and fold upon itself in ever-evolving depths. The tone of the album is primarily uplifting and eminently serene, very welcoming. Vague Traces arrives in a beautiful gatefold digipack that positively beams with a mellow amber/white light. No plastic - always a good thing - the disc is tucked into the end of the sleeve. The front cover image extends across the back cover too in a broad panorama. To the fore a lone figure faces a radiant sun barely hanging over the horizon, backlit foliage illuminated in sunset hues; on the rear, gathering shadows throw the trees and bushes into dark silhouette. Track titles are here, white against the gloom, times alongside. Inside the view falls close to the ground, absorbed now in the forms of grasses and the haloes of light that play upon each one. Minimal information - brief credits and website details. Coming together for the first time Phillip Wilkerson of Time Being joins sound sculptor Chris Russell for this Spotted Peccary release. Wilkerson has been releasing his own 'contemplative soundscapes, spacious atmospheres, and electronic drones and drifts' since 2005 via a variety of net labels whilst Russell has been recording since 2000 and delivering the results through labels such as Relaxed Machinery. The seven mid-length recordings of Vague Traces are blissfully unhurried, easily allowing the mood of each to seep through the consciousness and to transport the listener into welcome reverie. Consistent through the seven variations, the fades between tracks barely break the tranquillity of the spell so that the sixty three minutes work as a unified whole experience. Harmonic and multi-dimensional music roaming gently through vaporous, tranquil spheres is an apt description for this album by synthesists Chris Russell and Phillip Wilkerson. The free form textural outcome on "Vague Traces" is a kind of stress-relief but non-meditative music addressing the intimate and the sensitive with its kaleidoscope of slow evolving, overtly caressing and pastel tone colors. The 63-minute unhurried sonic vapor (which seems inspired by the composers own lucid-dream state experiences) sets out on a journey into distance landscapes, leaving spiritual landmarks along the way. During its intrinsic drift, the dreamy drone washes meticulously melt darker and lighter shades while maintaining a light air but avoiding the gap getting cheesy or predictable. As such, the gently curling (and at times slightly soothing) atmospherics making up "Vague Traces" sketches alternate visions of reality and possible worlds beyond the mind’s eye. Vague Traces (62'13") is a fitting title for the collaboration between Phillip Wilkerson & Chris Russell - because that is all that remains following its airing. Playing at the border of New Age, Avant-Garde and Spacemusic, Vague Traces concentrates on tone color, texture, dynamics, density and their transformations. We can only guess at the beautiful reality to which this duo refers. Their synthesized sounds form coherent groupings of sonic signs. Though quite mysterious to us, these clusters express meaning in the sum total of their parts. Delivered in a linear fashion, the message remains enigmatic. Tapping unexpected neural pathways, our interior world alternately tightens and relaxes. The glimmerings, shadows, caresses, murmurs and sudden gravity contained in these simultaneously sounding notes moves from a velvety luminous quality, to (however briefly) near dissonance. Wilkerson & Russell find that colliding chords can coexist in their music, as will timbres rough rather than lush. In arrangements of slow moving electronic forms and rightly crafted, luxurious modulations, harmonic movement freezes on static sonorities. Slowly played piano keys are superimposed over sustaining electric organ tones, as drones deepen amidst faint plucks. Reverberant rattles and breathing synthesizers reinforce an air of turbulence. This work seems to be dissolving and becoming, all at once. Sounds and ideas cross a huge interval, as the seven realizations on Vague Traces move through their liminal realms. This duo produces a fascinating succession of colors, atmosphere and mood.